From sandy beaches to fancy restaurants, salsa beats make up the backdrop for the heavenly touristic destinations from downtown Cancun. Step forward and hit downtown to dance salsa like the locals. Mambo Café has been the best salsa club in Cancun for more than 10 years. From the moment you arrive, the beats, lights, and people immerse you in the happy atmosphere. What makes this place so special is its live music and DJ. Characterized by its energy and cheerfulness, the bands of Cubans, Dominicans, and Boricuas make you stand up and dance. Take a night to move to the beat of salsa, merengue, bachata, and cumbia in an authentic Latin ambience. Hit Tropicana on Sundays and dance to the rhythm of salsa, cumbia, and bachata. Live music featuring an a talented Mexican and Cuban orchestra starts at midnight. Ask for their signature Tropicana cocktail and delight in the taste of vodka, curazao, and a soft touch of peppermint. Don’t worry about the Cancun heat as Tropicana is air conditioned, so dance all night long without worries. Meet some local salseros in Macumba Cancun, a Cuban nightclub with live music that doubles as a daytime a salsa school. 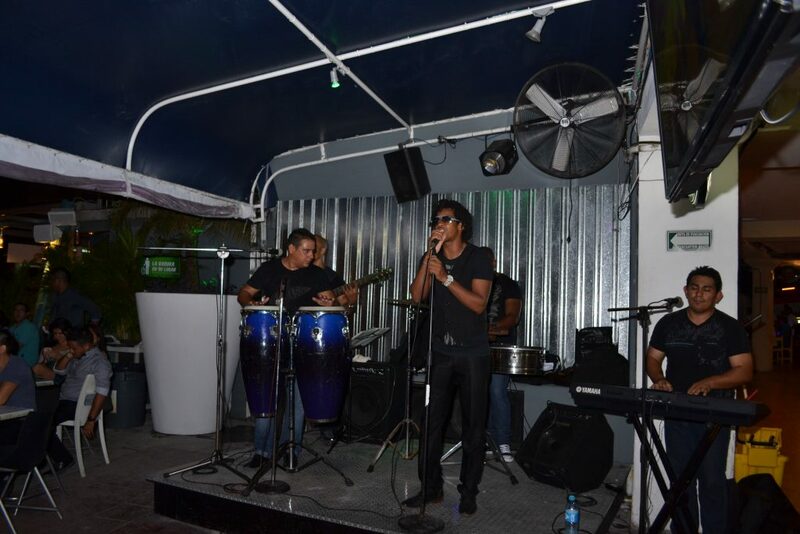 The band plays salsa and timba, which the DJ complements with reggaeton and merengue, and the club also organizes concerts with prominent Cuban musicians. Look for the terrace with the big palapa. Though not a salsa club, Las de Guanatos in La Plaza de Toros does open the dance floor to salsa lovers all night long every Friday. Enjoy a delicious dinner and keep the party going starting at 9p.m. Try the house special: beer flavored with choice of mango, guayaba (a sweet tropical fruit), pineapple with coconut, or the traditional michelada, (beer with lemon, salt, and mix of salsas). Characterized by its cheerful atmosphere, Carlos’n Charlie’s is an authentic Mexican restaurant to get a delicious dinner, and every Friday night at 10p.m. is the traditional Noche de Salsa Charlies (Charlie’s Salsa Night). Though it is a restaurant and bar in the daytime, it becomes a genuinely happy nightclub that features juggling bartenders and an animated staff that will slowly get you in a party mood and ready for salsa night. Every Saturday night, 8p.m.–1a.m., the bar El Camarón Chelero in the Plaza de Toros has a Noche Latina (Latin Night), featuring live music by a Cuban orchestra. There’s no cover, service is friendly, and prices very fair. This is the place to get some shots and snacks: get a pizza or some nachos, or ask for its delicious skirt steak. Tourists who like to experience the culture of the place should take a bus to downtown and look for the popular Parque Bohemio, which becomes a stage for salsa lovers every Sunday night at 7p.m. 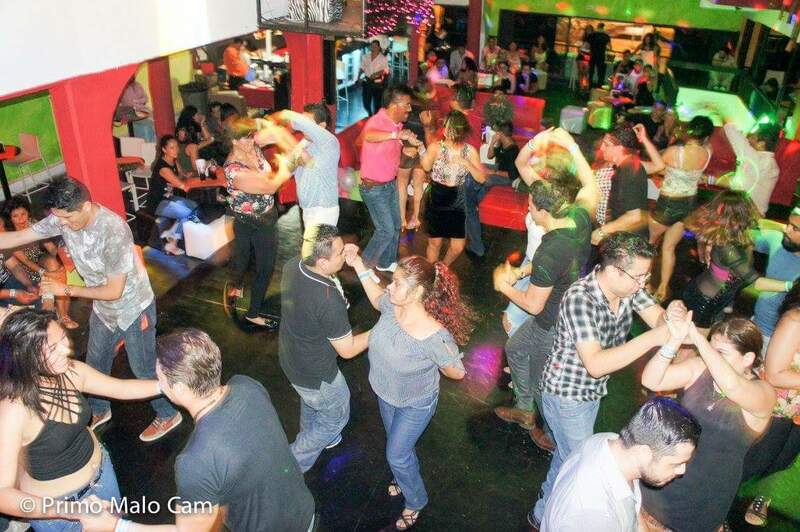 Both locals and tourists have the opportunity to learn and dance salsa for free, and as Sundays nights out are a tradition for Mexican families, the place gets a nice festive atmosphere. This is excellent opportunity to dance salsa in a totally different environment.